Winter has given us the cold shoulder here in the Northeast U.S. We were spoiled with record-breaking warm temperatures throughout December, and now January is demanding we pay for it with cold, blustery wind and temperatures. 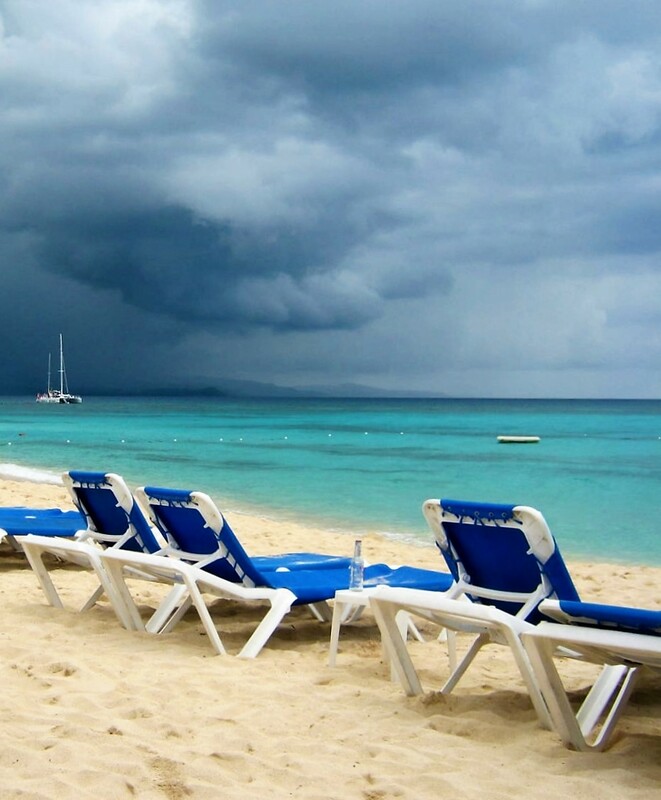 A beach scene taken at Montego Bay, Jamaica warms my heart, if not my fingers and toes. It’s also the perfect photo to use in a new challenge I found on the blog of Jennifer Nichole Wells: Color Your World – 120 Days of Crayola. Challenges are a great way to discover new blogs and new blogging friends. The color for today is Blue-Green. I think the swathe of ocean cutting through the center of the photograph matches the January 13th challenge color of blue-green. What a fun challenge. I will have to look into it. I love your photo. Makes me want to go and rest there, even though I’m not much of a beach person. Very inviting. Thanks so much. I love challenges and I feel they really do add to my blog’s content. I love color and a crayon challenge was perfect for me. I might not take part every day, but it’s fun to take part even on a part-time basis. Perfect shot for the challenge – a place that I would love to be right about now.